Son of Gordianus, a Roman regionarius, and Saint Silvia of Rome. Nephew of Saint Emiliana and Saint Tarsilla. Great-grandson of Pope Saint Felix III. Educated by the finest teachers in Rome, Italy. Prefect of Rome for a year, then he sold his possessions, turned his home into a Benedictine monastery, and used his money to build six monasteries in Sicily and one in Rome. Benedictine monk. Upon seeing English children being sold in the Roman Forum, he became a missionary to England. Elected 64th Pope by unanimous acclamation on 3 September 590, the first monk to be chosen. Sent Saint Augustine of Canterbury and a company of monks to evangelize England, and other missionaries to France, Spain, and Africa. Collected the melodies and plain chant so associated with him that they are now known as Gregorian Chants. One of the four great Doctors of the Latin Church. Wrote seminal works on the Mass and Divine Office, several of them dictated to his secretary, Saint Peter the Deacon. Stonemason who worked at Monte Titano in modern San Marino. Layman preacher who converted many, and ministered to Christians who had been sentenced to quarry work as punishment for their faith. 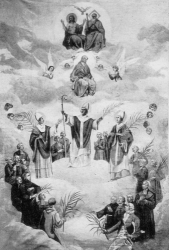 Deacon, ordained by Saint Gaudentius of Rimini. Bishop of Rimini, Italy. Though he belonged to no order that required it, he was a confirmed, life-long bachelor. Falsely accused by an insane woman of Rimini of being her estranged husband, he fled to a cave on Monte Titano, and lived there as a hermit. The small country of San Marino is named for him. Born to the nobility, Remaclus grew up in and around the royal court of Aquitaine (in modern France. Studied under Saint Sulpicius of Bourges. Benedictine monk in 625. Priest. First abbot at Solignac Abbey near Limoges, France, appointed by Saint Eligius. Abbot of the monastery at Cugnon, duchy of Luxembourg. Advisor to King Sigebert II of Austrasia. Convinced the king to found the double abbey of Stavelot, Belgium, and Malmedy, Ardennes, France, in 648; Remaclus served as its first abbot. Missionary bishop of Maastricht, Netherlands from 652 to 663, a diocese frequently out of touch with the Church and known to murder its bishops. He worked to spread monasticism in the region. Friend and co-worker with Saint Hadelin. Spiritual teacher of Saint Trond, Saint Babolen, Saint Theodard of Maastricht, and Saint Lambert of Maestricht. In his later years retired to the abbey at Stavelot to spend his final days as a prayerful monk. 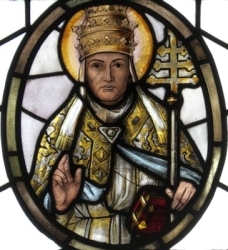 First bishop of Toul, France, c.338 serving until his death. He was so successful in spreading the faith in the region that he became known as the Apostle of Lorraine. Baptized as an infant by Saint Patrick. Spiritual student of Saint Olean. Pilgrim to Rome and the Holy Lands. Priest. Consecrated as abbot-bishop of Kells in Ireland by Saint Patrick. Friend of Saint Colmon of Dromore. Probable founder of the Kells monastery, which became the diocese of Connor, Ireland. Among other miracles attributed to him, he is reported to have changed the course of a river for the convenience of his monks, and to have rescued a child who about to be executed for his father's crime by having the boy picked up by the wind and carried to him. Sixth of eleven children born to a deeply religious family. Married to Matthew Zancano of Cremona, Italy on 14 October 1633. Widowed on 11 November 1637. Spiritual student of the Jesuits in Piacenza, Italy. 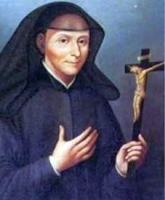 Foundress of the Institute of the Ursuline Sisters of Mary Immaculate. Christian matron, and likely a widow. Deaconess at Cenchrese, Greece. Delivered Saint Paul the Apostle‘s Epistle to the church in Rome, Italy, and is praised by him in it. Saint John Chrysostom wrote a sermon singing her praises. Benedictine monk at Fleury, France at age 20. 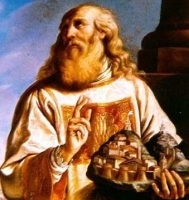 Sent to Monte Cassino Abbey to obtain relics of Saint Benedict of Nursia. 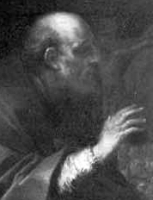 Abbot of the Abbey of Lérins c.670, instituting the Benedictine Rule there. Kidnapped and murdered with four of his brother monks by a group of men who objected to the growing influence of the Christian monks. 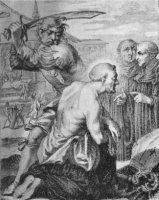 One of the first disciples in Italy of Saint Dominic de Guzman. First Dominican prior in Brescia, Italy, and of Bologna, Italy. Bishop of Brescia in 1228. Due to civil unrest, he resigned the bishopric in 1242 and retired to the Vallumbrosans of San Sepolcro d'Astino, Italy. Benedictine monk at Rebais, France. Spiritual student of Saint Philibert. Archbishop of Rheims, France. Founded Orbais abbey in 680. Princess from Northumbria (in modern England), the daughter of Hereric and Breguswith. Sister of Saint Hilda of Whitby. Married to Aethelhere, King of East Anglia. Mother of Alfwold and of Aldwulf who became king of East Anglia. Widow. When her children were grown, she became a nun at Chelles, France. Brother of Saint Opportune. 15th bishop of Séez, France. Noted for his support of the poor and disabled. Murdered while returning from a pilgrimage. Martyred at age 9 in the persecutions of Diocletian. Born to the 7th century English nobility. Brother of Saint Gerald. Worked with Saint Colman of Lindisfarne, and travelled with him to Iona, Scotland. With his brothers, he later settled to live as a monk at Tecksaxon ("The House of the Saxons") near Tuam, Ireland. Deacon. Martyred in the persecutions of Emperor Licinius along with 40 young women whom he brought to Christianity. 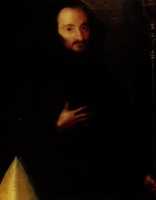 Brother of Blessed Otto of Heidelberg. Benedictine monk at Niederaltaich, Bavaria in 1320, living in a hermit's cell in the monastery. Priest at Casale, Piedmont, Italy. Benedictine monk at Fleury, France. Martyr. Bishop of Como, Italy in the mid-7th century. Four young women, variously sisters and cousins, who were born to the nobility, the daughters of the pagans Valentinianus of Aquileia and Valentius of Aquileia. Each woman converted and made private vows, dedicating themselves to God. They were arrested, tortured and martyred by order of Valentius for becoming a Christian. We know little else but their names – Dorothy, Erasma, Euphemia and Thecla. A group of priests and clerics, native and foreign, murdered together in the anti-Christian persecutions in Japan. A group of Christian lay people martyred together in the persecutions in Korea.